Chem-Dry of Savannah is here serving their community every day by helping our customers maintain a clean and healthy Savannah GA home. 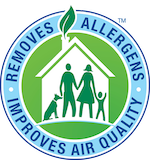 We use a Hot Carbonating Extraction process combined with Chem-Dry non-toxic, green-certified solution means that we'll leave your home not only cleaner but safer and healthier, too. We pride ourselves in being able to provide a carpet and upholstery cleaning that you have been searching to achieve a fresh clean Savannah GA home. Our professionally-trained technicians here at Chem-Dry are dedicated to providing an outstanding carpet and upholstery cleaning experience and will treat your Savannah GA home and family with the respect you deserve. 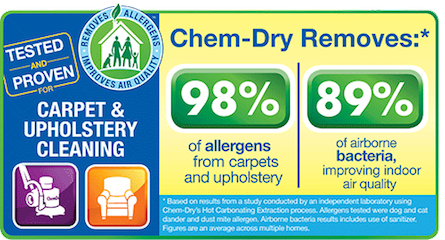 Chem-Dry of Savannah offers a few more services besides carpet and upholstery cleaning. Visit our services page for the breakdown or give us a call. We also serve several areas around the Savannah GA area, give us a call and see if we can help you with your cleaning needs. Get a Free Quote for Carpet and Upholstery Cleaning! Click below to access our form and provide us with your contact information and any other information about your carpet and upholstery cleaning needs. We'll contact you soon to schedule an in-home appointment so you'll be on your way to a cleaner, healthier home!